The owner of the NFL’s Carolina Panthers is paying for the funeral costs of the nine victims killed in Wednesday’s church massacre in Charleston. 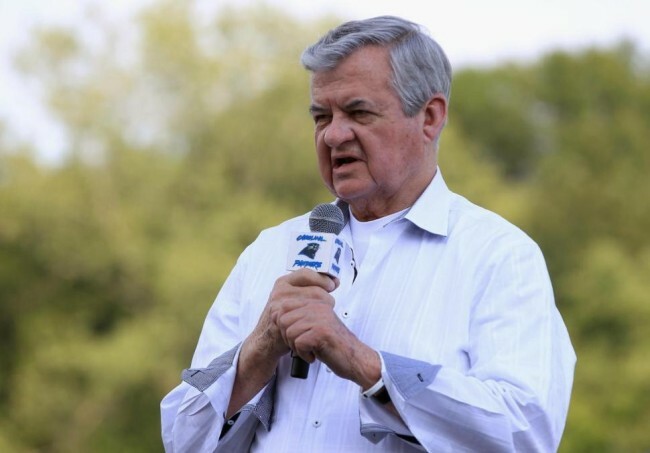 Jerry Richardson detailed his donation in a letter that was shared via social media by Bakari Sellers, a democratic member of the South Carolina House of Representatives. A spokesperson for the Panthers didn’t want to comment on the specifics of the donation, the Charlotte Observer reported. “But know our hearts are one with those who grieve the loss of these individuals,” Steven Drummond wrote in a text message to the newspaper. Dylann Roof, 21, is charged with the murder of nine black people in a historic Charleston church – the Emanuel AME Church – on Wednesday night. Roof, who was arrested Thursday in North Carolina, told police he hoped his mass murder would spark a race war.